In the modern times, social norms, attitudes and standards are constantly changing. Although most of us perceive such changes as the willingness of the society to improve the social equality, it seems that some of the attitudes from the past towards such changes still exist and dominate. The most common and controversial of all is definitely the battle of sexes. Every day, we have an opportunity to hear dozens of interviews, where both men and women claim that one side is better than the other one. It seems that there will always be the intense competition between the two, even when we won’t need it anymore. Why can’t we just accept the fact that there are particular activities at which women have advantages over men and vice versa? Now, the question is posed- what about some activities, such as driving, that are performed almost equally by both men and women? In the past, it was strongly believed that men are better and more proficient than women when it comes to driving car. Moreover, it seems that this stereotype is still present, describing women as less competent drivers. But, is this really so? In the last couple of years, numerous researches on that topic were conducted and the results are more than surprising. Most of them proved the theory of men as better drivers completely wrong. 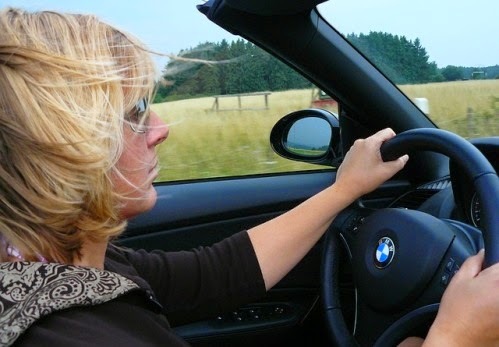 If you are interested in what makes women much better drivers than men, just read on! What are the attitudes of men and women towards their driving competence? In a couple of researches conducted on this topic, we came to conclusion that men are more self-confident that the women when it comes to their driving skills. They usually overestimate their abilities, being convinced that their driving was flawless even when they made a lot of mistakes. On the other hand, women are those who are less secure in their driving skills, which is actually the matter of perception only. For example, the research has shown that both men and women consider men better drivers. While 72 percent of women considered themselves less proficient, only 13 percent of men believed that women are better drivers, which completely confirms the abovementioned statements. The driving skills tested differed according to the type of the research. In one of these tests, fourteen different aspects of driving were evaluated, most of which proved that women are definitely better and more conscious drivers. During the researches, men are proved to take more risks than women, which lies in their need to compete all the time. While men usually don’t wear belts, come closer to other cars, exceed the speed limit and act rude and competitive all the time, women do the completely opposite thing. While driving, women are more relaxed and cautious, which makes them rarely exceed the speed limit, cut into traffic or tailgate the vehicle in front. What makes women better drivers is the fact that they are always courteous to other drivers, which is an immense advantage. In the research, another vital stereotype was broken and that’s the belief that women aren’t able to park appropriately. Although it took a few seconds longer to them to park, it seems that they are the ones who park according to the regulations. While men usually try to do that as fast as possible, not paying attention to straying to the next parking spot, women tend to park precisely and centrally. Should these results surprise us? Although brand-new, these results shouldn’t surprise us at all. According to numerous driving services and police stations, it is men who usually cause fatal road accidents and not women. That’s exactly why driving policies for ladies are always cheaper than the male ones. 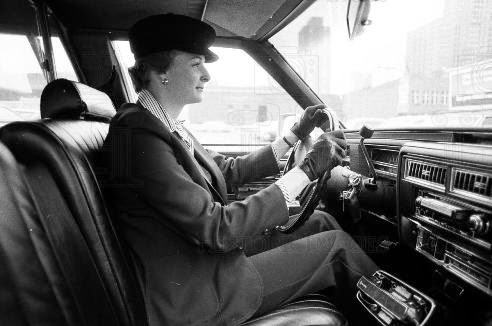 Moreover, in the recent conversation with the representative of a prominent Liverpool-based driving school, it was brought to our attention that the number of female driving instructors keeps raising, although in the past no one believed that this could be possible. In the past, when most of the drivers were men, it was clear that they were the ones who were more competent as drivers. However, over the course of time, women were given the same opportunity to prove themselves as amazing drivers, at least as good as men. Most importantly, according to these results, they’ve managed to reach this goal. It seems that the battle of sexes is won by women this time!